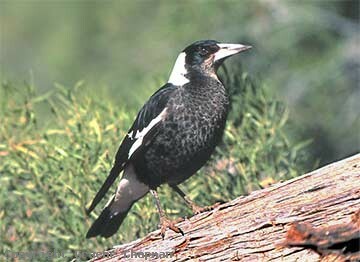 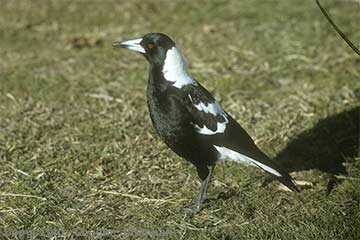 705201 ... Australian Magpie, adult male, black-backed form. 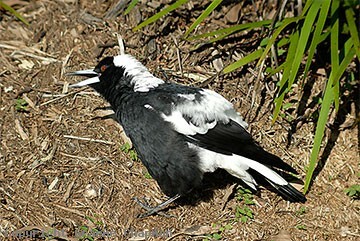 705205 ... Absorbing the hot sun. 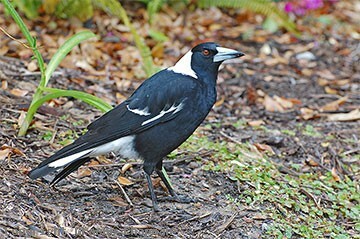 705206-D ... Australian Magpie, black-backed form from Queensland.